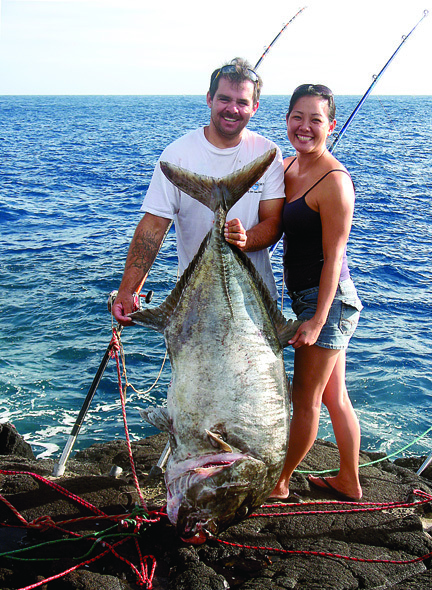 Fredo Desha was on a relaxing camping trip at South Point with friends and family on a windy, winter weekend in January when he made his second 100-plus-lb ulua capture. Fredo hooked up using live bait slid on his 12-foot Talon pole outfitted with a Newell 546 reel and 80-lb test Maxima line. After a 20-minute fight, Scotty Burns made a perfect gaff and brought the fish up.